Foodie is a food delivery experience tailored to customers preferences. Foodie provides those unsure of what to eat with new exciting meals. Everyone has been hungry, but can’t decide what food to order. Sometimes you can’t choose a type of cuisine to eat or you can’t agree with your significant other on take-out night. This problem results with endless time wasted searching through restaurants and menus. Those unsure of what to eat resort to spending endless time searching through menus that fit their or their peers’ preferences. There are currently no competitors that choose foods based off of customers’ tastes. Instead, our competitors are companies like Seamless, Postmates, and Uber Eats, which allow customers to choose their food from restaurants nearby. Despite solving the problem of getting the food to your door, people still waste time choosing what to order. Foodie’s ability to select food for the customer eliminates the common problem of uncertainty, while providing a unique experience allowing individuals to broaden their palet. After downloading Foodie, customers create profiles containing food preferences and allergies. Using this information, Foodie surprises customers with meals tailored towards their liking. Foodie’s revenue model is similar to those of their competitors. When a customer places an order, Foodie charges a delivery fee based off of delivery distance and quantity of food ordered. While a majority of this delivery fee is paid to the delivery man, Foodie will take a cut of the fee for themselves. Alongside this, Foodie charges restaurants a fee to be on their platform. 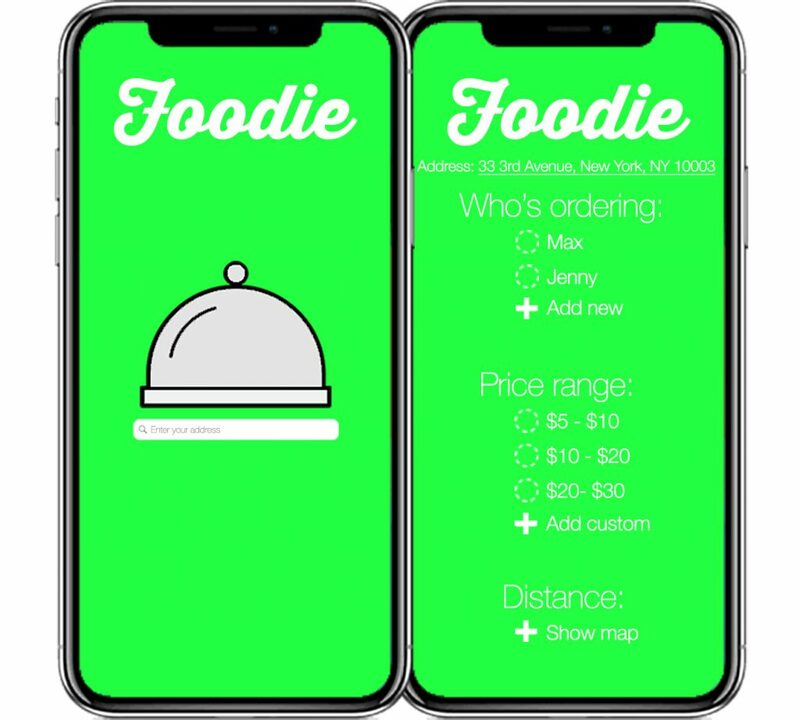 Foodie will charge a higher fee to restaurants compared to their competitors due to Foodie’s platform. Through the app’s ability to diversify a customers taste, Foodie creates a wider distribution among restaurants. This distribution increases restaurants’ likelihood of being ordered from, subsequently allowing restaurants to expand their consumer base. Furthermore, restaurants that want to expand their consumer base can be incentivized to pay extra fees to Foodie, increasing their likelihood of being chosen for delivery.